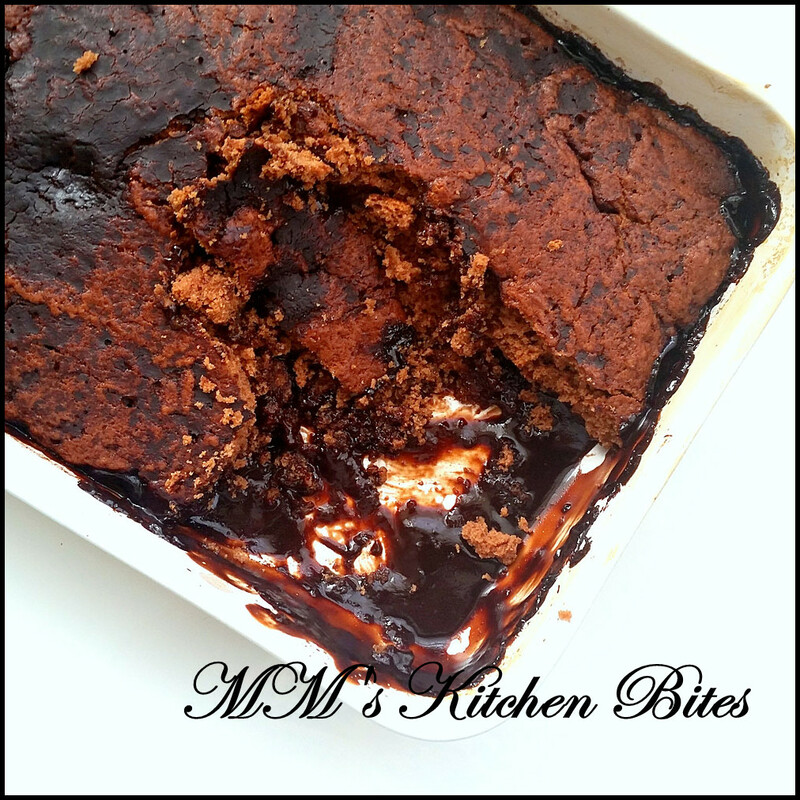 MM's Kitchen Bites: Chocolate Fudge Pudding...post number 200,confessions and celebrations!! 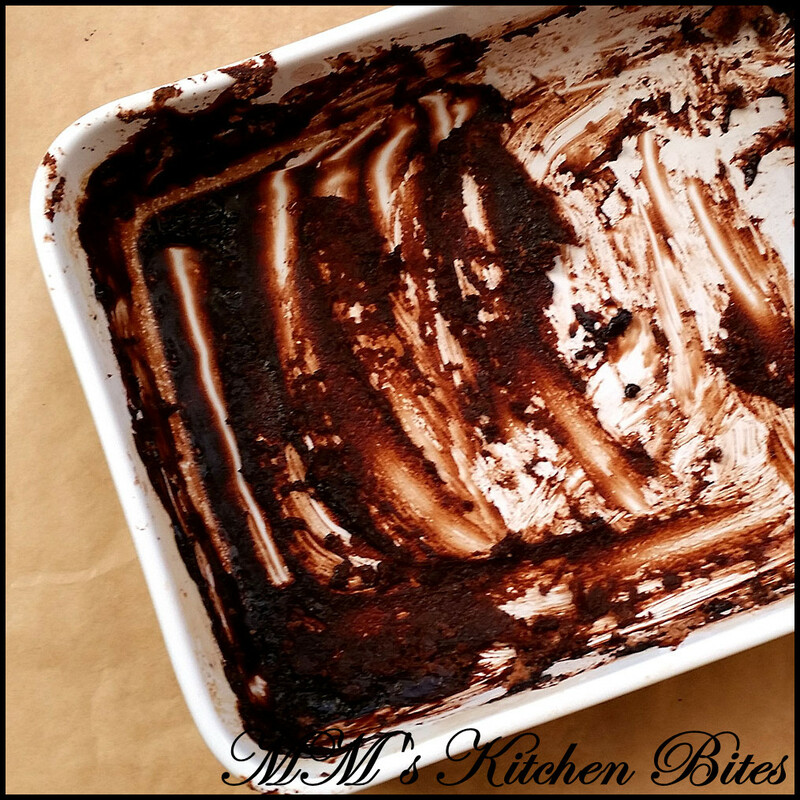 Chocolate Fudge Pudding...post number 200,confessions and celebrations!! “Hi, my name is Mona Malik and I am a food blogger. Welcome to my kitchen…” pheww…done!! Do I sound like an AA member? Oh, well over the years I have passed up on many good opportunities for the blog simply because of my hesitation to say this. Every time someone would start a conversation saying “Love the blog, would you like to...?” I would run a mile. I wasn’t shy but hesitant (extremely hesitant) to admit that I blog… about food- if you have been part of my journey so far, you know I have never taken this seriously…the blog isn’t good enough when compared to others, the photographs- meh, no serious photo sessions, no thought process about what to put in next, no scramble to gather props to make it all real pretty, no stories as hook irregular posts etc etc. I don’ have any friends from the blogging community, I don’t attend blogger’s meets, I don’t search the net looking out for new food trends, my personal facebook has no mention of food anywhere etc…only a handful of people from real life know about the blog and a limited few from the virtual world know about the person behind the blog. Butter an ovenproof dish about 8 X 9 inch wide and 4 inch deep. Sift together flour, salt (if using) and cocoa. In a large bowl, cream the butter and sugar together until pale and fluffy. Add in the eggs one at a time with one spoon of the flour with each egg. Fold in the rest of the Flour mix along with milk. In the meanwhile, in a small saucepan, gently heat the water, brown sugar, cocoa and instant coffee powder till the sugar is completely dissolved and the sauce starts to boil. Remove from heat and add vanilla essence. Pour the sauce over the pudding mixture. The sauce will complete submerge the pudding base underneath. Bake for 45-50 minutes, until the top is crisp and brown. 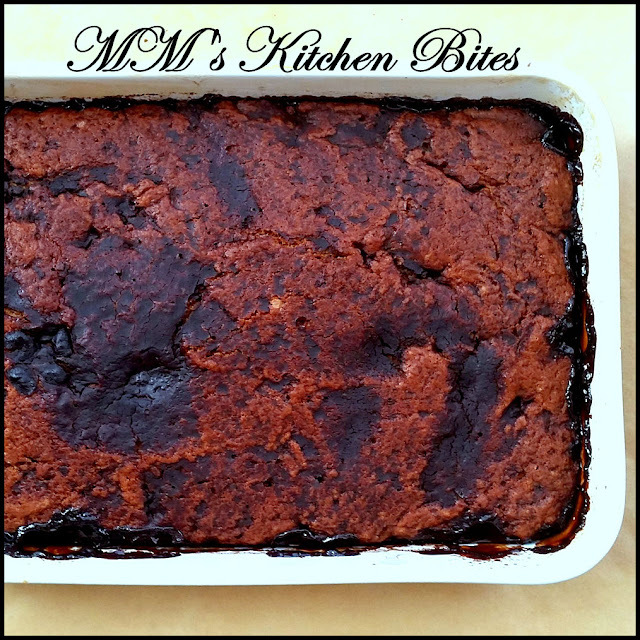 The pudding would have risen through the sauce, resulting in a moist base with a crisp top. Serve warm and for extra indulgence, serve with ice cream, double cream or crème fraîche. Don't over bake the pudding as the top then goes very dry. If that happens, just serve each slice upside down and drizzled with pudding sauce and extra cream.